Happy September! This year is flying by! I recently planted iris bulbs as a friend generously gave me some beautiful iris to add to my garden. I can't wait to see what they all look like this spring. In honor of the fall planting season, I have a wonderful iris card to share with you. This is the beautiful Iris Fantasy image. It's colored up with prismacolor pencils on kraft cardstock. Yep. 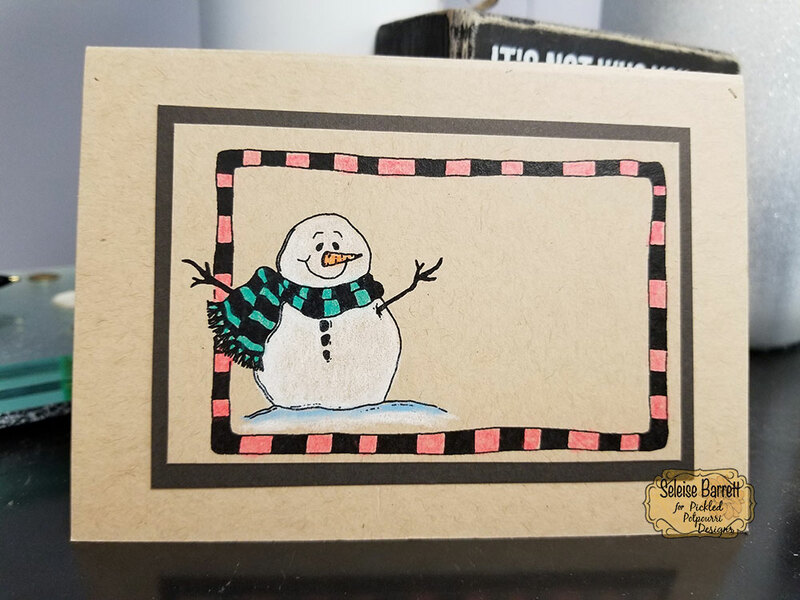 I felt the need to continue the kraft cardstock theme from last month. I just love how the iris pops on the kraft, don't you? And, I wanted the iris to be the star so kept the design clean and simple (CAS) so the iris would shine. What do you think? Would you have added some texture to the background? I debated running a layer through an embossing folder. Maybe next time. 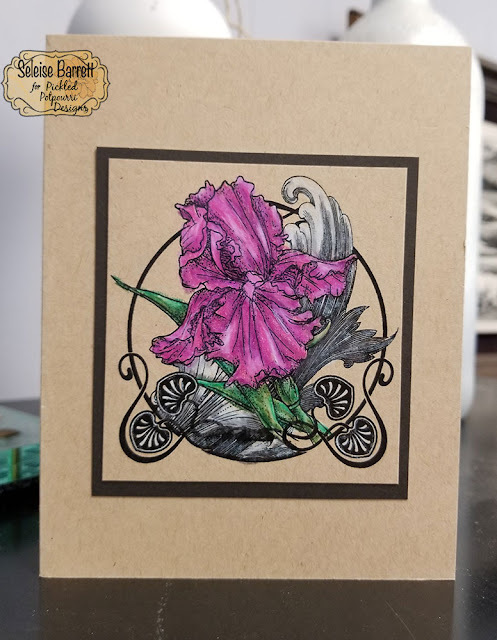 This would make a beautiful notecard set as you could color the iris in a variety of colors. It's a gorgeous image! Fall also makes me think towards the holidays. 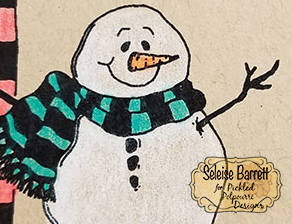 This wonderful little snowman from the Snowman Tent Card set makes me smile! 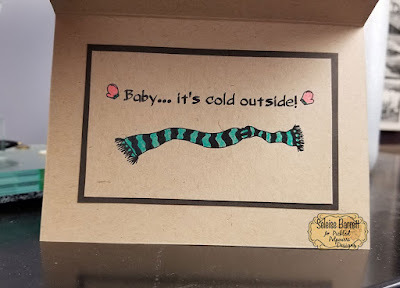 And, look how awesome white prismacolor pencil looks on kraft cardstock!! I decided to cut the tent card apart and make an A1 sized card using both elements. Isn't the inside cute with the sweater and mittens?!! Same color scheme as the card front to tie everything together. Wouldn't this be great to add to a cocoa gift package! Pop by Pickled Potpourri Designs to pick up these fabulous images along with many, many more!